Place California walnuts in a container and pour boiling water over them, then add a pinch of salt. Let them rest for at least 2 hours or overnight. In the morning, drain and blend the California walnuts with 2 cups of fresh filtered water for about 5 minutes or until smooth and frothy. Strain through a cheesecloth, if required. 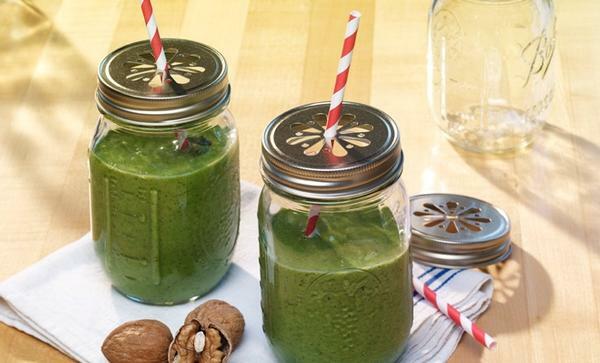 Combine the California walnut cream with kale, pear, banana, yogurt and agave nectar/ honey and blend until completely smooth so that no large kale bits remain. Add ice to the smoothie and blend. If required, you can add agave nectar and a splash of lemon to adjust the smoothie to your taste. Serve it chilled.